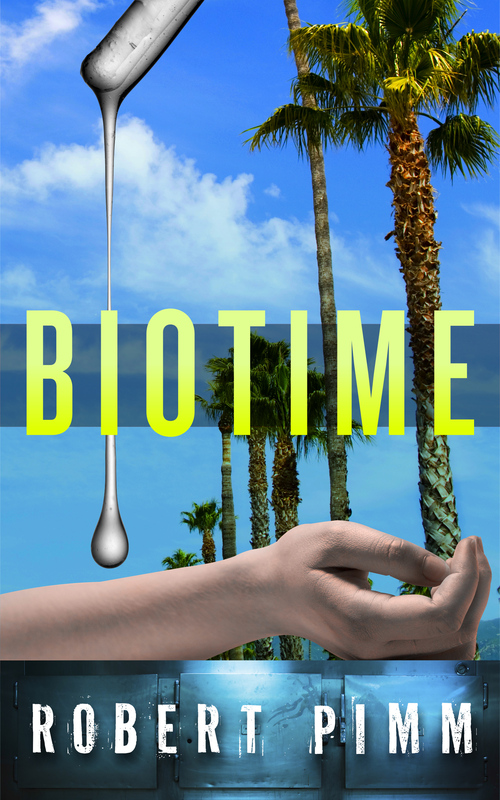 We are nearing the end of the on-line serialisation of my sci-fi novel Biotime. If you’ve missed the rest, check out the story so far. In excerpt 41 Devonte Ray, the oldest cop on the planet and veteran of the historic raid on Pax Vobiscum, goes to brief his boss, the President of the Central Authority. But first, Dev goes ski-ing in the Montezuma Basin. Devonte Ray brushed the snow from his cap as he stepped off the slopes onto the brown fibre-pile carpet of the Central Authority HQ at Aspen 4000. Then he bent and brushed the snow from his arms and legs, before undoing his jacket and shaking free from his shirt and belt the snow that had somehow lodged there. It had been another fine morning’s powder in the Montezuma Basin. It was a constant source of pleasure to Dev Ray that the Central Authority, as a comparatively new arrival on the bureaucratic scene, had been able to locate its HQ untrammelled by the historical hang-ups which had stranded other federal institutions in the squalor of Washington DC. He had never known the first President of the CA, a winter sports enthusiast who had justified her decision to site the new headquarters above the snowline near Aspen, Colorado in terms of staff morale, team-building and a dozen other management mantras. She, like most of the original staff, had died in ski-ing accidents in the decades that followed. But the senior management of the Central Authority had continued to attract more than its fair share of ski bums. Dev sighed as he placed his ski-boots on the heated rack by the door to the slopes. What would Roland Nelson have done now? It would even have been good to talk to Roland’s son Rocky, who in his later years had become something of a sage in the One Lifer movement. Dev remembered the old man smiling as he sat in a simple adobe dwelling and advocating the joys of Biotime abstinence. “There’s something natural about dyin’ when you get old,” he had said. Well, Rocky Nelson had died soon enough. That left nobody in the world, apart from poor Jake Moonrath, with whom Dev could discuss the case; and the less Jake knew, the better. Back when they’d launched the assault on Pax, Roland Nelson had been unable to involve senior police officers in the raid because he believed them all to be corrupt. Now, Devonte Ray could not seek support in the Santa Monica case because he knew his boss to be more incompetent than even a political appointee had any right to be. Thomas 469, the President of the Central Authority, was not exactly stupid. Rather, over a career spanning several centuries, he had become semi-detached from his responsibilities as head of the most powerful institution in the United States. That suited Washington fine: if the CA was not broken, there was no need to fix it. It would in any case have been impossible to secure bipartisan support for a new appointment in a Congress which had not taken an important decision for decades. That meant that today, Dev’s mission was to update Thomas 469 on progress in the investigation without telling his boss anything he might inadvertently let slip to someone else. The first two doors Dev passed after leaving the airlock led to the bar and the executive sauna. The third, situated to take advantage of what the real estate agents had advertised as the best view on the planet, was the Presidential suite: bedroom, bathroom, and a 180 square metre study looking down the valley. The study doubled as a boardroom, where such of the CA board as could be dragged in off the slopes might in theory get together. But such a meeting had not taken place for years. These days, it seemed, the room’s main function was to provide Thomas 469 with a venue to gather together the prettiest and most witless of his staff of both sexes and set them to work partying as blizzards swept the mountain. The President was fond of pointing out that the station was over two miles high. Dev Ray knocked and waited. Forty eight hours had passed since he had despatched Jake Moonrath and his partner on a mission whose likeliest outcome would be to deprive the Home Security Bureau of its last two Informal agents. The only advantage Jake had was his pathological risk aversion. He was not exactly a coward. When pursuing a Biotime crime, Jake could show bravery verging on the reckless. But in the intervals between active duty, he tended to avoid any activity which could reduce his life expectancy. Dev smiled and knocked again. On this mission, self-preservation could be an asset. Aspen 4000 had been built at a time when carpeting on the walls and even on the ceiling had seemed like a neat idea. The corridor was as silent as a fresh fall of snow. Dev pictured a party under way beyond the sound-proof door, lithe young bodies spurred on to acts of gross depravity by a spaced-out Thomas 469; and knocked again, with feeling. The door was opened at last by Thomas Collins himself. He did not look well. The white light from the picture window was unkind to the most flawless of complexions. It did nothing at all for Collins, whose gaunt features resembled the “after” image from a tobacco products Beneficial Effects Display. Taking their cocktails, the two men sank into adjacent armchairs facing a mighty picture window formed from a single sheet of plate glass. Dev sipped his drink and gazed down the mountain-side, waiting for his boss to speak. Far below, an eagle soared. Thomas 469, however, seemed to have nothing to say. He downed half his drink in one, slurping down the deep red liquid and throwing on the carpet the poppy perched on the edge of the glass. Then he began fiddling with something caught in the fly-button of his boxer shorts. Dev tried not to look. Was that a blonde hair? At last, Dev broke the silence. The President did not look up. ‘It’s a mess,’ he said. ‘Uh-huh.’ Dev could see only the ice-cap of dandruff which crowned his boss’s head. ‘You got the resources you need?’ Now Thomas 469 was reaching inside his boxer shorts. ‘All I can use.’ Dev wondered about briefing the DG on the shortage of Informal bracelets. He decided to say nothing; gazed out of the window; and relished his drink. Two centuries earlier, Collins had published a book of his own cocktail recipes, “Tom Collins Slaughtered”, each named after a famous massacre. The exclusivity of the My Lai was its magic ingredient: a shake of Biotime, “which should be sufficient”, the author had suggested, “to ensure that both the cocktail, and if possible the after-effects, are enjoyed in an instant of perfect timelessness”. An instant of perfect timelessness. Dev watched as his boss fiddled inside his shorts. It was as if a more brilliant man had somehow lost his way. Devonte Ray stared at his boss. It was the most he’d heard him say for years. By Robert Pimm in Fiction, Fiction: Biotime, Fiction: Novels on 17/06/2015 .